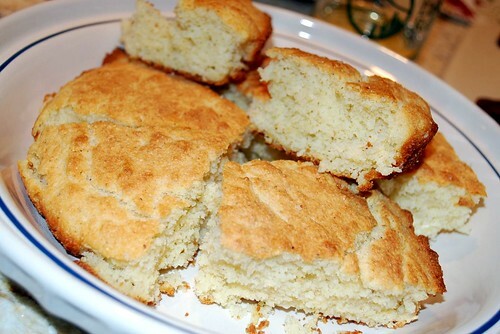 No one, I said NO one, can make cornbread like a good ol’ southern boy. And I’m a pretty lucky gal because I’m MARRIED to one! 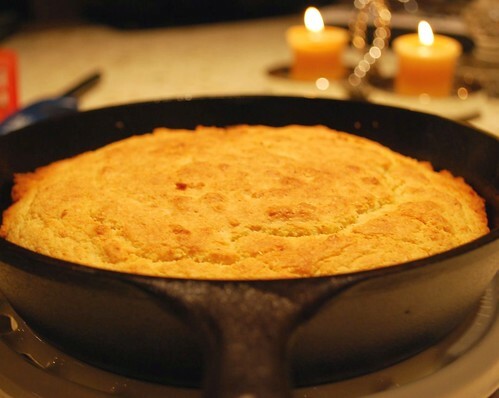 No matter whose house we’re going to, no matter what event we are attending, everyone gets my husband to make the cornbread. It is the best (and only) food a southern bachelor learns to make, and my husband has mastered the art. Crispy crust on top, fluffy buttery center, and perfectly balanced flavor. He says the secret lies in his grandmother’s well-seasoned cast iron that he inherited. I say he puts LOVE in it! Preheat the oven to 425 degrees. Generously grease a 8-9″ cast iron skillet with the Crisco. Place the skillet in the oven to preheat for about 5 minutes. 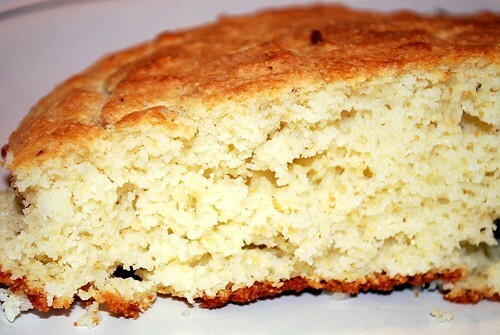 Meanwhile, measure the cornbread mix, the egg, and the buttermilk into a bowl. Remove the skillet from the oven and pour off the excess grease into the batter (there should be about 1-2 tablespoons to pour off). Stir your ingredients together until they are smooth and combined. Pour the mixture into the pre-heated skillet. This is my favorite part because it should sort of sizzle as it is poured in. Spread evenly and return to oven for about 20 minutes or until desired crispiness of crust is reached.